Everyone hates a stye over their eyelid! They often appear at the wrong time, and can cause considerable pain and disruption in your daily routine. And even if the pain reduces in a few days, it does spoil your good looks! But have you ever wondered why do we have it in the first place? What is a Stye, and what causes it? A stye is simply a sudden painful red nodule over your eyelid. It is often caused by bacterial infection: bacteria that are otherwise present in abundance on our eyelid skin, and the lashes (also called as commensals). The commonest eyelid condition that leads to frequent stye is called Blepharitis. Blepharitis is typically caused by overgrowth of bacteria that live along the margins of the eyelids and at the base of the eyelashes. Over time, these bacteria build up to form a biofilm, which is toxic. Bacteria in the biofilm also produce toxic substances called exotoxins that cause swelling of the meibomian (oil) glands of the eyelid. These oil glands normally secrete oils that are important for tear film stability. These glands now get blocked due to the swelling. The pent-up secretions then allow the commensal bacteria to invade, and thus form a stye. This constant vicious cycle may repeat in a person who has Blepharitis, and leads to chronic eye discomfort. How to recognize a stye? 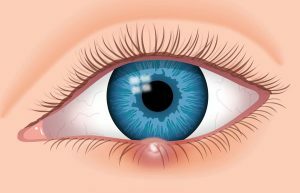 A stye often develops overnight. The eyelid may suddenly become red and swollen, or you may sometimes see a yellow spot indicating pus-pointing. The pain is usually out of proportion to the appearance, and the person having a stye may be unable to focus on anything. Due to the swelling, that eye may water continuously. In a person with normal immunity, a stye is usually harmless and will heal on its own in about a week. If you have had it before, you’ll come to recognize it. Although it is always safe to consult an eye doctor for proper diagnosis, a simple stye can be picked up by any net-savvy person, and remedial measures can be initiated. Eyelid hygiene: Cleaning your eyelids with a cotton bud, using diluted baby shampoo is a good start. Pre-moistened eyelid cleansing pads are another option, and often available as over-the-counter product at your local pharmacy. Stop wearing eye makeup temporarily and discard old makeup or applicators that could be contaminated. If you are a contact lens wearer, shift to spectacles until the stye is cured. Antibiotics: Though not always necessary, your eye doctor may also advice oral antibiotics and antibiotic eye ointment for faster recovery. Sometimes, a short clinic based procedure may be advised by your eye doctor to open up a large stye to release the collected pus for faster relief. Warm compresses: You can encourage a stye to heal faster by applying warm compresses for 10 to 15 minutes, three or four times a day. Dip a clean washcloth in warm water, wring it, and then place it over your closed eyes. 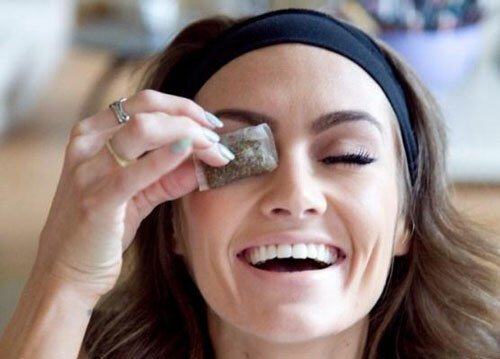 Alternatively, if you are a Tea/Coffee drinker, hold your fingers around the cup until warm, and place them on your closed eyelids. The warmth from the compress often will allow the stye to open, drain and heal faster. The heat also allows the thickened oil secretions in the oil glands to soften, thereby reducing the chances of re-infection. Pain relief: Over-the-counter painkillers can reduce your pain if a stye is particularly bothersome. While the treatment of the stye is usually a quick fix that works well, it’s the prevention of recurrence that is more important. Those who wear contact lenses, work long hours in front of computer screens, have poorly controlled diabetes, and have other skin conditions such as Blepharitis or acne rosacea are more prone to recurrences. Proper eyelid hygiene can significantly reduce the risk of a recurrent stye. Clean your eyelids thoroughly before bedtime, especially if you wear eye makeup. Also, if you have Blepharitis, taking the steps required to treat this eyelid problem also will help prevent the recurrence of stye. If you are getting repetitive styes, check your blood sugar, and see if your refractive error has changed. Hope this article helps you identify this common eyelid problem, that can affect you or any of your friends or family. With the simple tips given, you can fix it in time for your weekend party! As always, it’s a good idea to consult your eye doctor if conservative measures are not helping, or you simply want expert help. Chalazia: An enlarged, blocked oil gland in the eyelid. A chalazion mimics a stye for the first few days, then turns into a painless hard, round bump later on. Most chalazia develop farther from the eyelid edge than styes. Milia: Also called “milk spots” or “oil seeds,” milia are tiny white cysts, usually appearing on the outer skin layer (epidermis) of the eyelid and around the eyes and nose. Xanthelasma: A subtype of xanthoma, this skin condition is characterised by yellowish bumps (plaques) under the skin, occurring on or around the eyelids. Generally appear as disc-like lesions with a flat surface and well-defined borders, ranging in size from several millimeters up to three inches in severe cases.